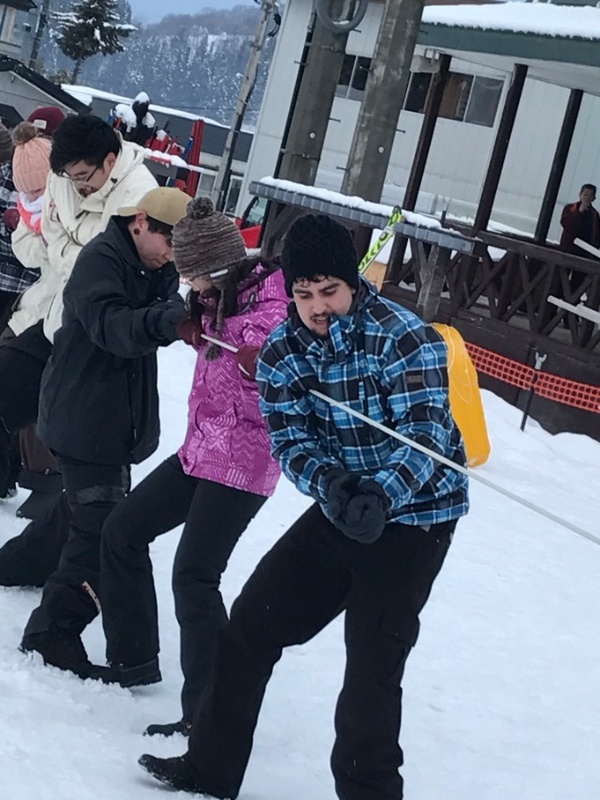 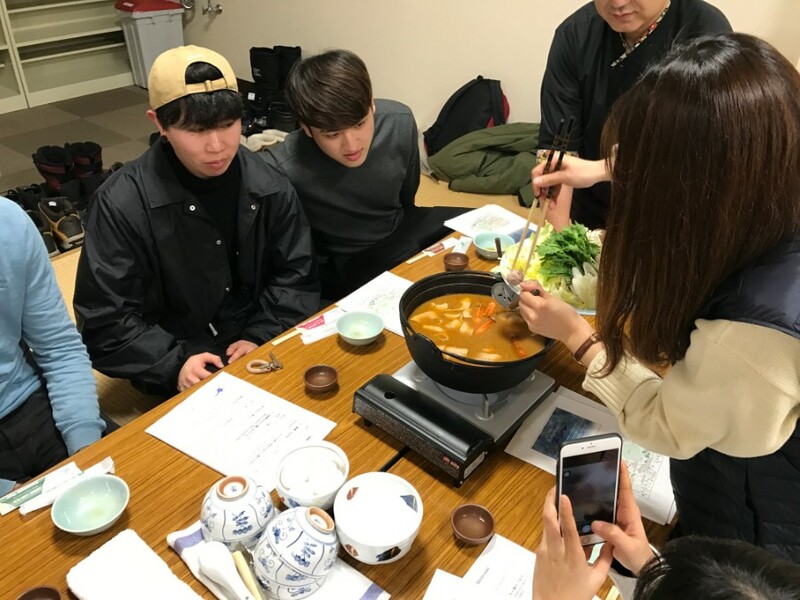 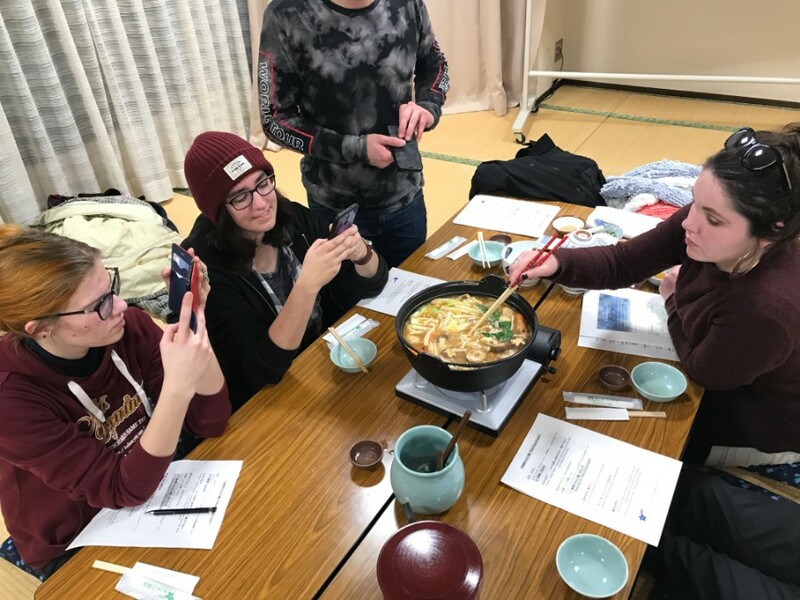 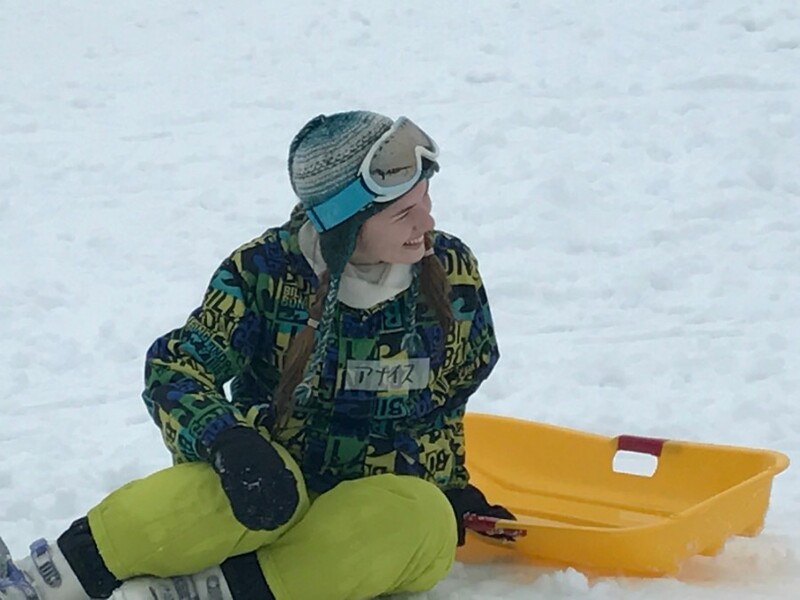 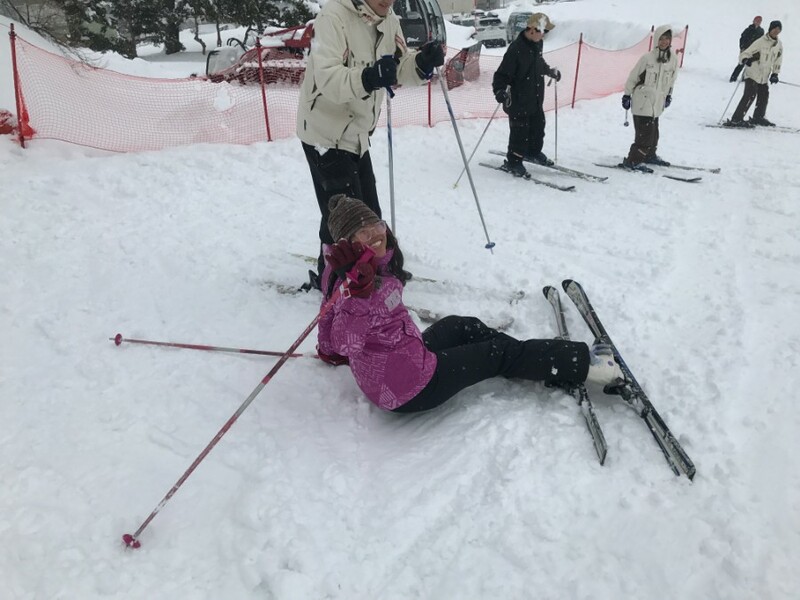 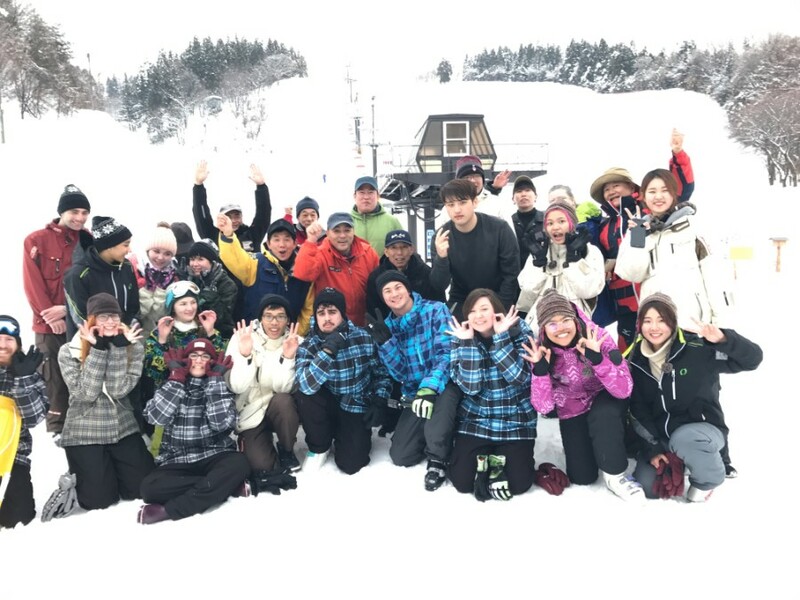 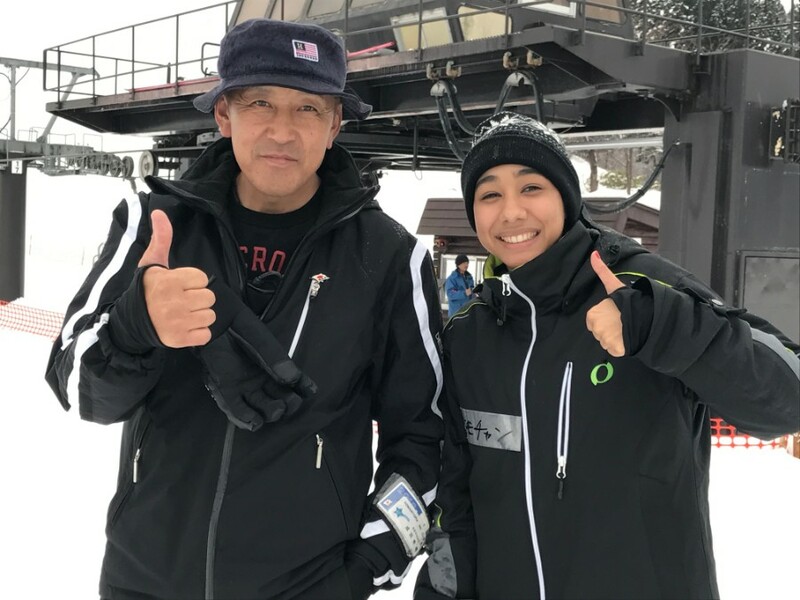 On January 28th students studying Japanese food Culture and White Tourism took a field trip to nearby Soma to experience skiing and winter food for sustenance. 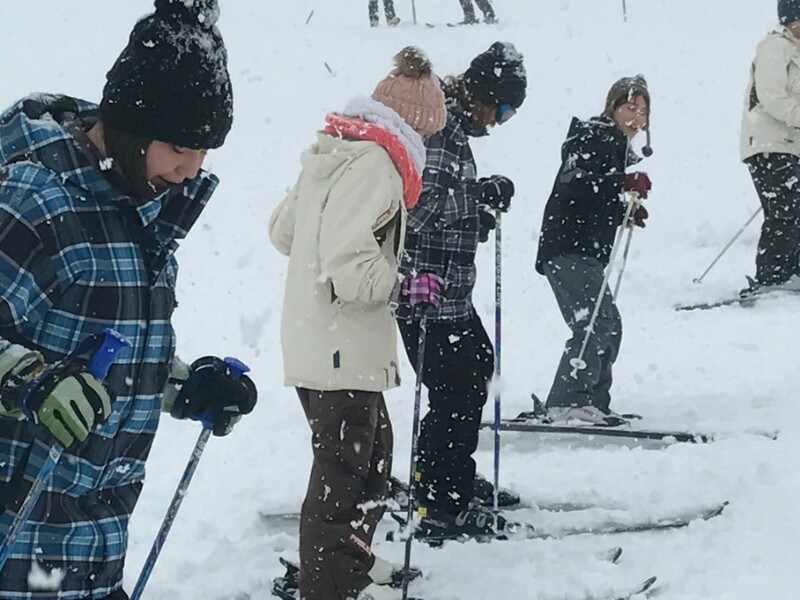 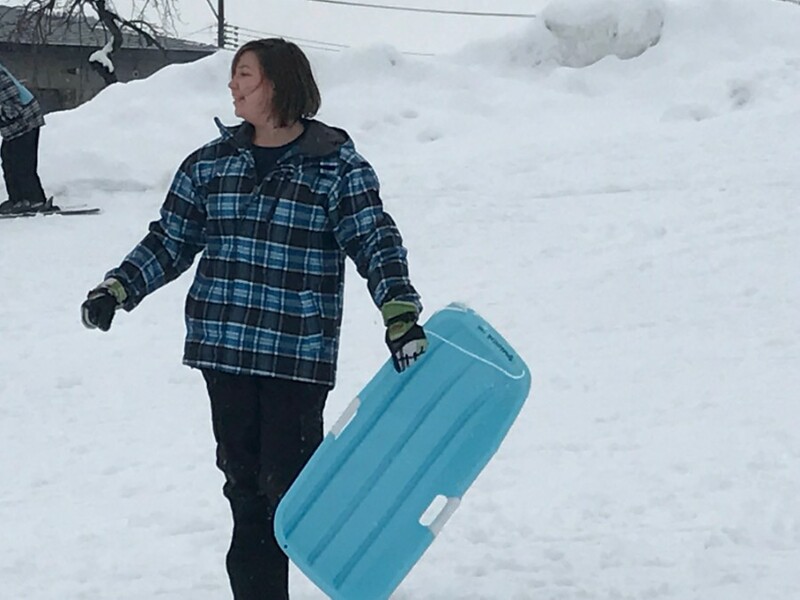 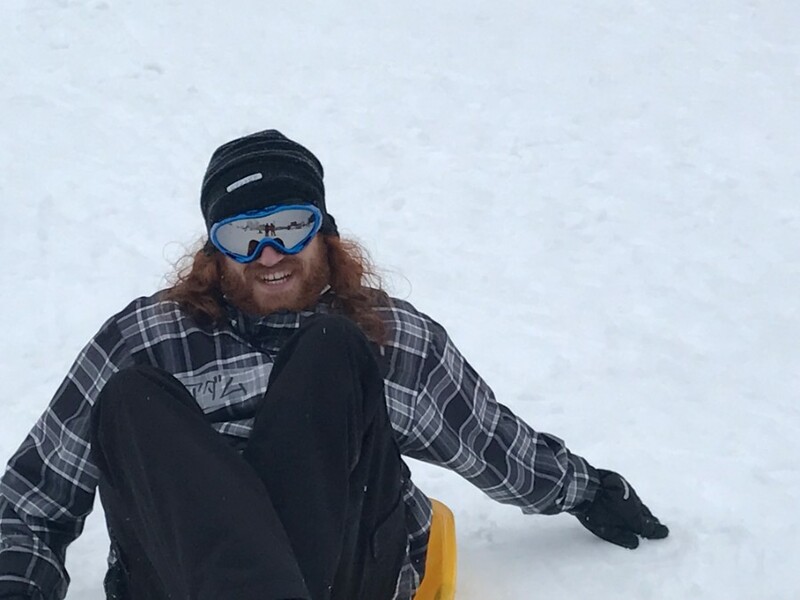 The afternoon started off with ski instruction and went on to include sledding, snowman making and games in the snow. 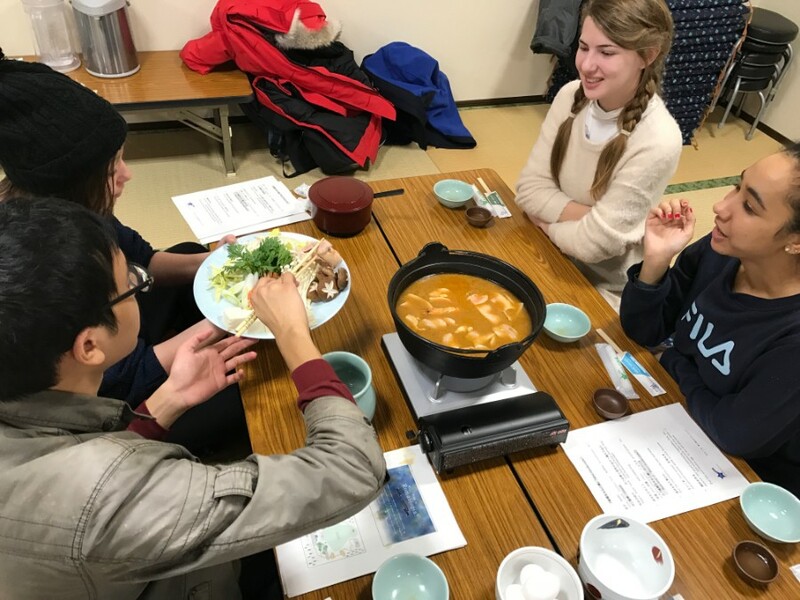 It concluded with a lesson on how to make local nabe, or stew given by the general manager of Romantopia resort.